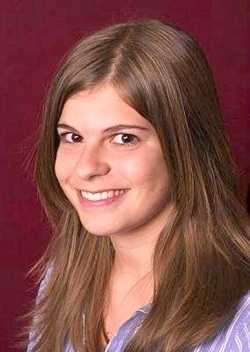 Kim Suozzi, diagnosed at age 21 with brain cancer while studying neuroscience at college, passed away Thursday, January 17, 2013 at age 23. The Society for Venturism, a cryonics advocacy and support group, started a charity fund for her cryonic suspension in August of 2012 and through an overwhelming amount of support from the extreme life extension community, enough funds were raised for her to be cryopreserved with Alcor. She had a successful standby and suspension and now is in stasis at Alcor Life Extension Foundation. Alcor CEO Max More announced today that Alcor will be publishing a brief summary of her suspension and details about her memorial in the next few days on the Alcor blog. The Society for Venturism is thankful to have helped fulfill her last wish to be cryopreserved in the hopes that she will be able to finish her life someday. Kim knew about the next charity recipient that the Society for Venturism is taking on for 2013, a man struggling with ALS, Aaron Winborn. She wrote to him on Dec. 13, 2012 saying that she wanted to help promote his charity, and also hoped that people who supported her would support his case. She was hopeful that the Society for Venturism would be successful in gathering donations for further charity cases in the future. She apologized to him for not helping more, explaining that her condition had deteriorated. He responded to her; “My condition as well is beginning to worsen; my breathing has declined considerably, and my FVC has reached 25%, far below the threshold of 35%, when respiratory failure is imminent and can happen at any time. My only option at this point is to opt for invasive mechanical ventilation, which may give me a 50% chance of surviving a year.” Sadly, Kim’s health kept her from being able to help Aaron as much as she wanted, and also his own health has kept him from being as active as he would like. It includes a button where you can donate if you are able. Every amount helps as this is the very beginning of the cryonics charity campaign for Aaron and it is not known how much time he has, as his condition has deteriorated more rapidly than expected since November. Kim was very thankful for all the support she received. The Society for Venturism has started collecting funds for him and is working with him to have the funds ready for the cryonics organization he contracts with. Kurzweil AI’s readership was instrumental in helping Kim be cryopreserved and hopefully many will again choose to help with Aaron’s case. All funds collected go to the cryonics organization that the recipient has contracted with, and not to the individual directly. Leftover funds, if there are any after a recipient is preserved, will go to help a future charity recipient.